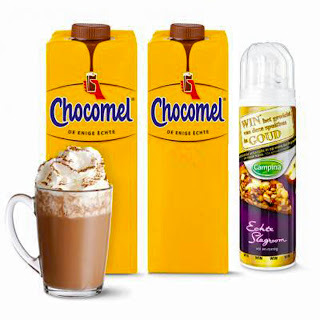 At Dutchstore we also sell a range of Fridge magnets. 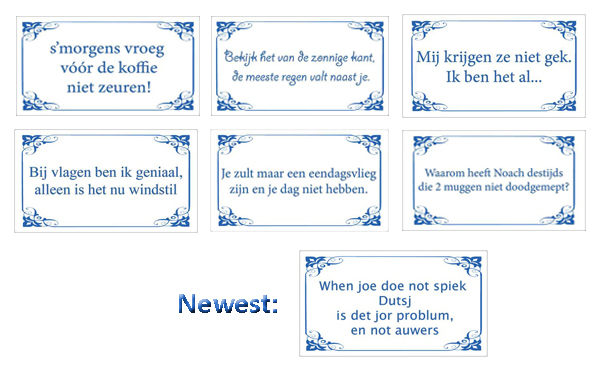 They have a funny text in Dutch, and are with a nice Delft blue border. 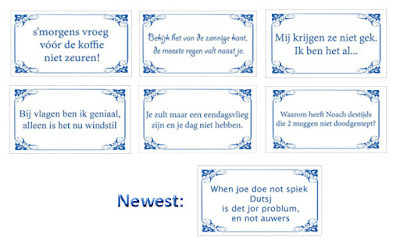 "When joe do not spiek Dutsj is det jor problum en not auwers." They are all at a low price of $1,25 each.